Information overload! The Q1 Big Data issue is our largest yet, and includes seven industry benchmarking surveys. 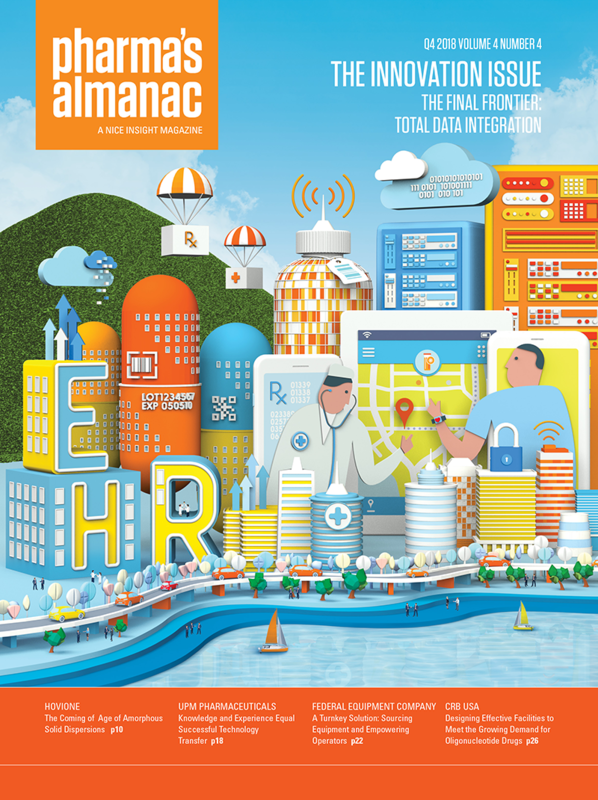 The first issue of Pharma’s Almanac in 2017 explores the current market landscape and the impact of Big Data. For pharmas, biotechs and other life science firms, the ability to handle Big Data is a huge difference maker. Orally Disintegrating Dosage forms are advantageous for all patient groups and comprise the fastest growing segment of the drug delivery market. Continuous processing has taken a long time to arrive, in spite of obvious advantages and continued encouragement from the regulators. The feature includes analysis and summary of a vast array of data obtained from proprietary annual surveys and custom primary & secondary research. The 2017 Nice Insight CDMO Survey results are based on input from over 700 industry professionals representing all sizes of pharmaceutical & biotech companies. It is key to find a CRO that not only has the desired technical capabilities, but can act as a true partner & serve as an extension of the sponsor company. The 2017 Nice Insight PE/VC Survey highlights some interesting trends in the way investors currently look at opportunities in the life science industry. The survey reveals that modern pharmaceutical manufacturing is moving towards an integrated & streamlined process from raw-materials to the final products. The 2017 Nice Insight Excipients Survey finds that companies across the industry use an extraordinary variety of excipients in their formulations. 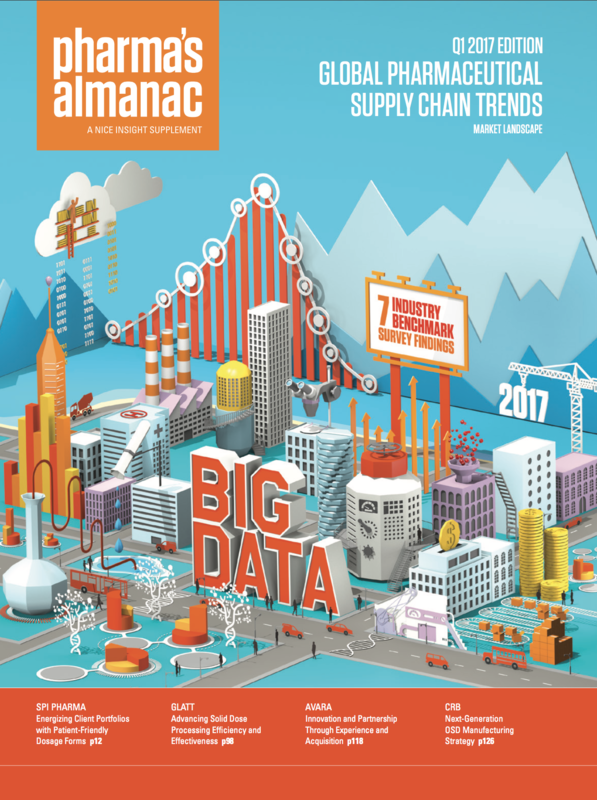 In the field of clinical supply chain logistics, buyers are increasingly seeking strategic partnerships rather than a transactional vendor-sponsor relationship. Nice Insight is in conversation with Oskar Gold of Vetter Pharma International, about how outsouricng fill - finish services can help companies of all sizes. Access to the best solution for bioavailability enhancement ensures the highest likelihood for successful formulation of challenging compounds. The biggest factor impacting facility & equipment design is the regulatory need to assure that the product can be produced the same at every location. Over the last ten years, globalizing clinical trials into emerging markets has seen a steady incline. The need to generate full supply chain transparency will lead to increased scrutiny of excipient suppliers’ supply chains. The challenges drug manufacturers face range from batch sizes & minimum order quantity to quality inspection & financial stability. The specific challenges of CROs/CDMOs in putting cloud computing to use is discussed by industry experts. Q: What Impact Do You Think the Move to Cloud Computing Will Have on the Ability of Contract Service Organizations to Better Meet the Needs of Their Customers? Utilizing cloud computing would allow CROs to provide their customers with more comprehensive, flexible, targeted and faster services. Single-use Disposable Technologies (SUTs) promote capacity & production schedule flexibility, up to the 2,000L bioreactor batch and perfusion production scale. Predictions look bright for the microbiome market - the global microbiome market is expected to reach $658 million by 2023. With companies continuing to recognize the value of manufacturing partnerships, CDMOs are pressured to deliver on quality promises without hindering launch. A clear trend in the clinical trial space is a move away from the investigator site to the patient’s home, which requires DTP services. With medication adherence at the center of unnecessary costs & poor health outcomes, it’s an obvious opportunity for the industry to take a leading role. Whether a process is being transferred within a company or between a sponsor and an outsourcing partner, success requires extensive knowledge sharing. Particle-size engineering & analysis require specialized equipment and expertise, leading many pharmaceutical companies to turn to a reliable CDMO partner. The pharmaceutical manufacturing landscape is shifting, moving to replace and transition to more flexible cost-effective & efficient capacity. Though niche market partners will continue to remain important in certain areas, pharmaceutical companies are increasingly turning to CDMOs. A transition from batch to continuous processing enables the development of processes within the cGMP principle Quality by Design framework. Small and medium-sized drug companies are the growth engine of the industry but lack easy access to service providers. 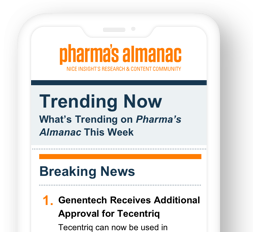 Drug companies are now seeking service providers that can offer flexible deal structuring and CDMOs with built-in flexibility are ideally situated to help. Recent successes in clinical trials, measured in terms of safety and efficacy, are driving interest in gene and cell therapies. Catherine Hanley of Alcami, highlights the keys to successful cultural integration following a merger and why it is so important for the newly formed entity. The primary reason pharmaceutical manufacturers purchase production processing equipment is to meet present or future demand for its products. Changes in the industry are creating a significant need for development of advanced particle engineering technologies for solid dosage drugs. 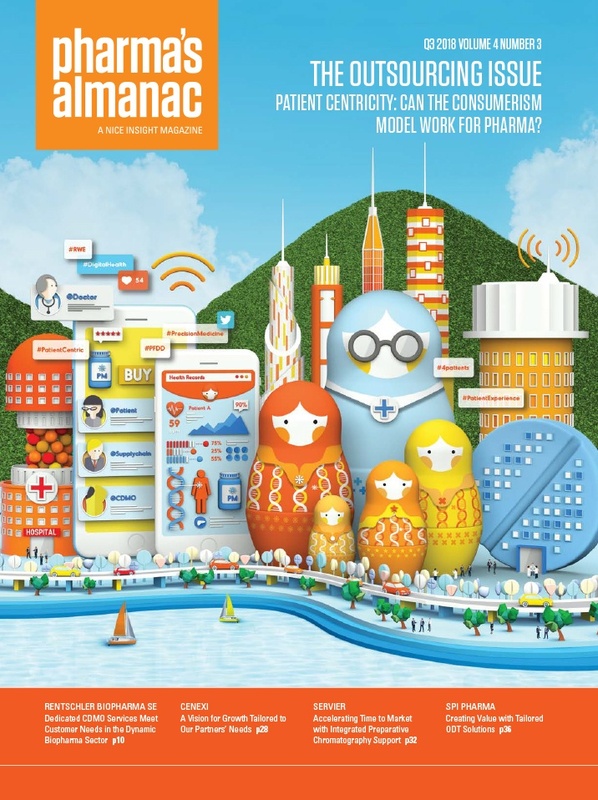 PA TV channel has debuted to bring Pharma’s Almanac to life for its readers in a way the printed pages of the magazine cannot do.